Our experienced George Gee Cadillac Kia team is excited to assist you in your next vehicle purchase. Welcome to the best source for online deals. Come check out this 2018 Sportage LX! This small suv is a great vehicle for families. The Sportage is designed to handle any icy or snowy road that is thrown at you this winter. Your passengers will feel safe with stable braking and handling on all road conditions as it is an all wheel drive vehicle. Thanks for checking out our vehicle online. Please come and visit us at 317 West Dalton Ave, Coeur d'Alene, ID or give us a call at (208)667-7416. - Free Lifetime Warranty is valid only on New and Used Vehicles with less than 100,000 miles and 5 Years Old or Newer. Valid exclusively at George Gee Cadillac Gee Coeur d'Alene See dealer for full details and exclusions. Our Kia Sportages are great fun and versatile vehicles. This 2019 EX model is loaded with all sorts of equipment options to enhance your driving experience. It has all wheel drive to get you through those slippery when wet or icy conditions. It has a Navigation, back-up camera, Sunroof, duel-zone AC, and much more, which makes it great for road trips or just enjoying getting around town. When it comes to any auto purchase, there is nothing more important than safety. This 2019 Kia Sportage will protect you and your passengers with innovative safety features. 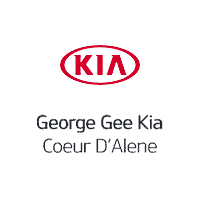 George Gee Cadillac Kia is committed to 100% customer satisfaction, no exceptions. Thanks for checking out our vehicle online. Please come and visit us at 317 West Dalton Ave, Coeur d'Alene, ID or give us a call at (208)667-7416. - Free Lifetime Warranty is valid only on New and Used Vehicles with less than 100,000 miles and 5 Years Old or Newer. Valid exclusively at George Gee Cadillac Gee Coeur d'Alene See dealer for full details and exclusions.